Bluefish Computer Services provides PC repair in Chichester and the surrounding area. As well as general PC repair we specialise in transfering your email and files from an old PC to a new PC / laptop. We can provide a collect and return service, drop off service or alternatively repairs can be carried out at your home or office. We are based in Chichester and approved by WSCC Trading Standards meaning we a credible company which has been independently vetted for our processes and business practices, ensuring you get the right service and pricing. Contact us Monday to Sunday from 8:00am to 8:00pm to arrange a repair or quote for your PC. We offer a fast turnaround for our repair jobs often being able to complete repairs and services the same day or next day when parts are required, unlike other repair shops who often quote repair times of 5-10 days minimum. Other common PC faults we fix include failed power supplys, virus removal, hard drive replacement, data backup/transfer/recovery and many other faults we can quickly and effectively diagnose. Our aim is to repair your PC as efficiently and thoroughly as possible. 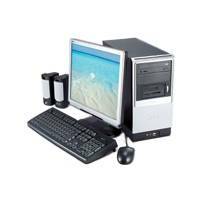 We have qualified technicians who are experts in PC repair. For a free no-obligation conversation to discuss your needs please contact us.